Normally for Valentines Day, my husband and I don't make a huge deal out of it. We usually order a pizza, rent a movie from Redbox and call it good. This year was a little different. We ordered a gluten free pizza on Friday night, especially perfect for carb loading for a long run Saturday as my body is getting in the habit of those agains. 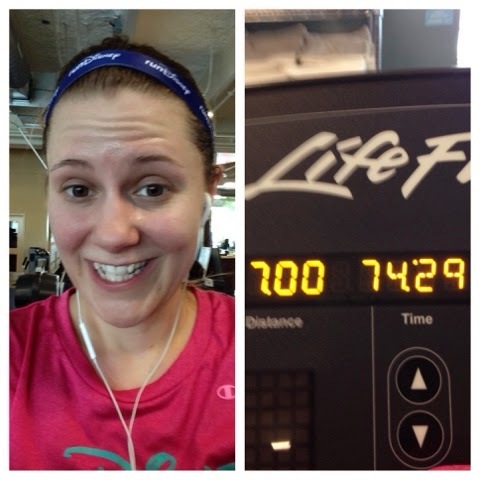 Got 7 miles in Saturday and I was happy with my time. The dreadmill work is paying off and we continue to make peace with one another, even though I would love to live somewhere warm and run outside. My first race coming up in April, is the Gazelle Girl Half Marathon! I am super excited for this race! I've never done it before, but hoping for a fun time. We then headed to the store and stocked up on Gluten Free Brownies and cookies after our runs. Yumo! Can't wait for my gluten free cook book to come in the mail. It's changing my life and my stomach! 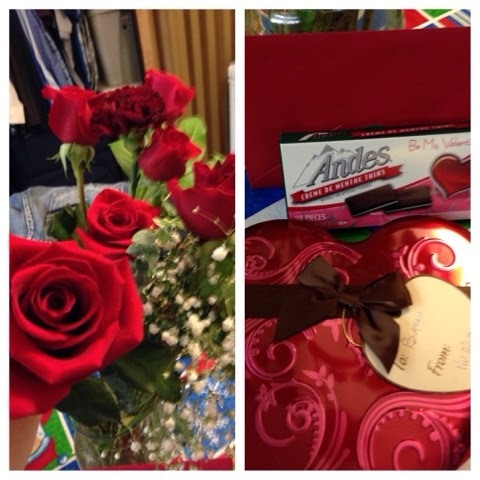 My Valentine bought beautiful roses, Dove chocolates, Andes chocolates and a beautiful card! He's such a great catch! So thankful to have him. He doesn't have to buy me anything, but it's sweet when he does! 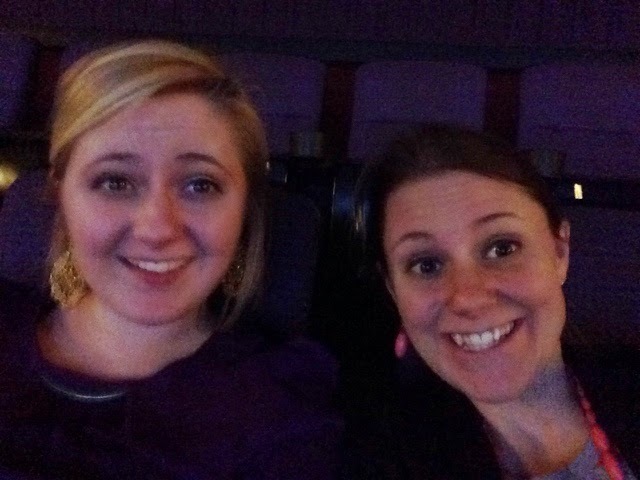 Later that even my sister, Rachel, Thomas (her boyfriend), my husband and I went to go see Paddington Bear! It was such a super cute movie. I loved the British accents and Paddington was cute. We laughed a lot. Valentines does not require that one be serious all the time. Of course we went out to dinner and just laughed! Red Robin is a fun place to eat and I ate way to many fries, but they were yummy! 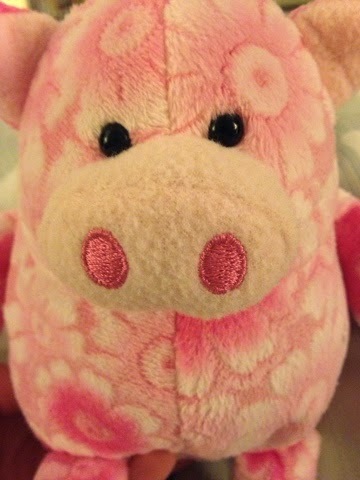 Rachel got me a new pig- Pinky! I love Pigs! Pinky is super cute! Gotta love this sweet little pig. She's adorable! Valentines weekend was super relaxing and wonderful. I even read a few books, watched some tv shows on netflixs and just enjoyed myself. Overall, a busy and relaxing weekend. Q: What did you do over the weekend?